Verdelho is a white wine-grape variety native to the Portuguese island of Madeira. It is best known as one of the four so-called noble grapes of Madeira, where it contributes to the island’s signature fortified wines. It is grown to a significant extent in Australia, as well as numerous other winegrowing regions around the world. In the vineyard, the Verdelho vine produces small bunches of small, thick-skinned berries. Verdelho is an early-ripening grape and is particularly susceptible to the threat of spring frosts and powdery mildew. The Verdelho grape’s history in Portugal dates to the 17th century, at least. On the island of Madeira, Verdelho is considered a noble grape, alongside Sercial, Bual and Malvasia. The outbreak of phylloxera had a devastating impact on these noble grapes. Though plantings of these traditional grape varieties have long been dwarfed by the Tinta Negra variety (also known as Negramoll or Tinta Negra Mole), they remain noteworthy because of the distinctive styles of wine they produce. Verdelho Madeira is traditionally a medium-dry fortified wine. With between 27 and 45 grams per liter of residual sugar, it falls between Sercial and Bual in terms of sweetness. To taste, this style of Verdelho shows distinctive smoky notes, vibrant acidity and considerable saccharinity. Verdelho is the most widely planted of the four traditional varieties. In order to be labelled as a Verdelho Madeira, a wine must contain a minimum of 85-percent Verdelho in its blend. Australian Verdelho is a dry white table wine and can range from young and relatively simple to full-bodied and tangy wines that have undergone barrel aging. The more full-bodied style is popular in the McLaren Vale, Hunter Valley and elsewhere in Western Australia. Typical flavor descriptors for these wines include tropical fruits, lime, grapefruit and honeycomb. These Verdelho wines are lively and decidedly tangy. A limited amount of Verdelho is cultivated in the Savennières region of France’s Loire Valley. Other minor plantings can be found in Argentina, California, South Africa and New Zealand. 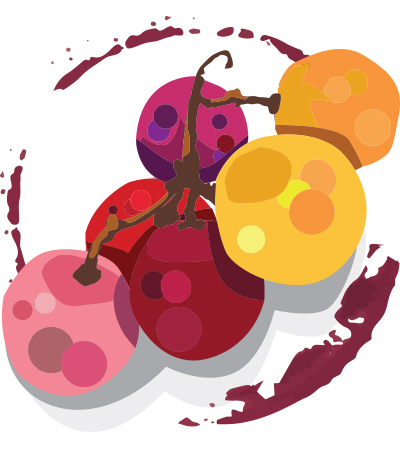 A number of distinct grape varieties have been referred to as Verdelho at one point or another. The varietal best known as Godello in Spain was once known as Verdelho or Verdelho do Dão. It is found in the Alentejo, Dão and Douro regions on mainland Portugal, and is now officially known as “Gouveio.” Another example is Verdelho Tinto, a virtually extinct variety once grown in Portugal’s Minho region. Verdelho should not be confused with Verdello, an Italian grape from Umbria, or with Verdejo, the Spanish variety best known in the white wines of Rueda. If you’re searching for a sweet white wine for dinner or a special occasion, you’ve come to the right place! Browse reviews on top-rated wines submitted by Wine Enthusiast Magazine’s expert tasters using the Buying Guide database below.